Taco seasoning mix is something I buy all the time without really thinking about it. We use it all the time, especially in our easy taco dip that we love so much! But a few days ago I took the time to read the ingredients. Store bought taco dip is full of stuff that I don’t recognize. Really, taco seasoning is something that you can easily make at home, with just a few spices. You probably even have most, or even all, of these on hand in your cupboard already. This mix is just a little bit spicy. If you want it milder, omit the crushed red pepper flakes, and it’ll be mild enough for most kids. If you want to kick up the heat a little, add the optional cayenne pepper. 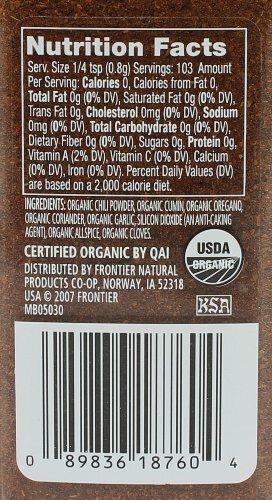 1 tbsp Simply Organic Chili Powder. Get it on Amazon here. You can use any chili powder you like, but we like Simply Organic. To make, all you do is measure, combine all the ingredients, mix and store. Makes about 2 cups of taco seasoning. 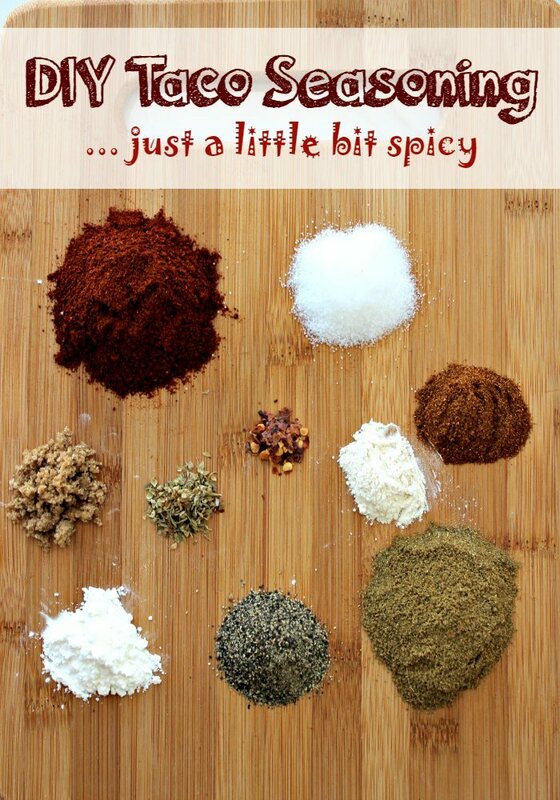 Use a teaspoon of taco seasoning mix per pound of food you want to season, and add more to taste. Looking for something to cool you down? Try a matcha green tea smoothie, or (my favorite) a berry summer blast almond milk smoothie. Thanks for this! So sick of buying pre-packaged taco mix. Now I can make my own! So cool! Thank you for this! Are these measurements really 14 tsps/ or 1/4, 1/2 tsp? Hi Jeri, the measurements are really 14 teaspoons – the total amount this makes is about 2 cups mix.